E3 continues with EA’s press conference: Battlefield 4, Mirror’s Edge 2, Titanfall, Destiny and more, right here in our live blog. We’re expecting some big announcements from EA this year, and hopefully we’ll see a lot more of existing titles such as Titanfall and Destiny. We already know DICE have a couple of surprises in store: could we finally see Battlefront 3? Check back at the following times to find out with our in depth live blog. The two most interesting parts of this conference took up about 45 seconds of it. Think about that. Oh good, we’re done. That was largely terrible. Thanks for joining us for our press conference, stay tuned to Talkingship.com for all your E3 coverage. A lot of boring garbage, but Plants Vs Zombies looks great, and we got Star Wars Battlefront and Mirror’s Edge 2 teased. I call that a kind of success. I think I forgive EA for SimCity now. ‘Coming…When it’s ready’. GOD DAMMIT EA. Oh, I just remembered that EA make games that I like. The combat looks half-decent this time round. The real question: is there a dog? I’m not particularly interested in Battlefield 4, but footage like this does make me wonder how on earth Call of Duty is still a thing. Ooh, they blew up a building. How revolutionary. DUBSTEP WUB WUB. Remember James Bond: Nightfire’s multiplayer on the PS2? That was pretty fun. I really dislike Battlefield 4. My stream’s back. I’d ask if I missed much but I think I already know the answer to that question. Oh look he’s on a jetski. How not exciting. Oh thank god, destructible environments are back. God, this is so bad. Just shooting shooting and more shooting. The winner of E3’s “Best New Word” Award is currently a toss-up between Drivatar and Levelution. Like seriously, why do I need 63 other people to shoot at me? 64 player multiplayer. So what? My stream just cut out and I’m not really considering this a bad thing. Commander Mode, AKA: You will sit in the back of the room with the SmartGlass and if you talk to us while we’re playing I will punch you in the face. Commander Mode? So, RTS mode. 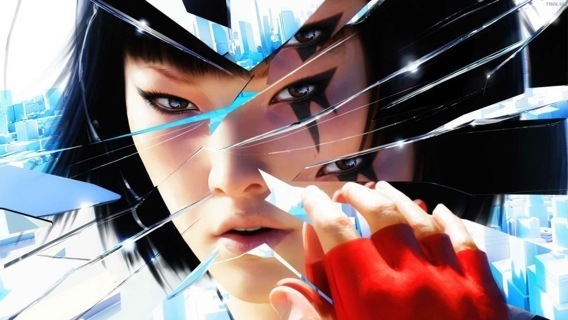 Mirror’s Edge 2 isn’t happening, is it. Just give me another look at Battlefield and I’ll be on my way. I never thought that Plants Vs Zombies would be the most exciting thing in an EA conference. I’ve just stopped paying attention. So fed up. I bet Dana is great with kids. So much cringe. There is fake applause playing. What is this. Are we done? Can we talk about real games now? Please. I haven’t eaten in about 10 hours. I just finished the pizza. Compared to MS and Apple’s great conferences, this is a mess. And I missed the first half. This conference is over half way done. What. They couldn’t bring any footballers out because Americans wouldn’t recognise them, so here’s a rapper who kind of likes FIFA. Oh for god’s sake why is Drake here. Drake, go away. We don’t want you. Oh good, it’s Drake. Wait, what. I won’t even buy this. I HATE SPOARTS. I haven’t been asking for a full length Madden trailer, and if you have then E3 is probably the wrong place for you. I don’t think anyone asked for this trailer, actually. In case people are interested in something a little more, well… interesting, right now: I’m eating a pizza. It’s pepperoni and tastes pretty good. This is so, so boring. I can’t wait to see what more innovation NBA Live produces. I’m going to guess basketball. Haha he was pausing for applause and NO ONE cared. LITERALLY TIED TO THE BALL. Why is dribbling important in that sport where all you do is dribble? IT’S AN NBA RAP. THIS IS WHAT VIDEO GAMES NEEDED. All I can hear is “I am a fist bump in human form.” Dammit, VGTV. Shaxster, you didn’t hear the awkward silence after the Peggle 2 “bombshell”. That was painful. It looks and sounds like a total reimagining, though, so we’ll see. Remember the first Dragon Age? You know, the good one? I hope this is like that. Coming next are Dragon Age: Inquisition, EA Sports, and Battlefield 4. SPOILERS. And they’re making a Not Burnout movie! With a guy from Breaking Bad! We’re getting a behind the scenes look now. Video games. And that’s Not Burnout: Rivals. At least with all this SmartGlass support, the third wheels of your friendship groups have something to do. And that rain/snow is really annoying. This is quite GTA like. Because the one thing you want in a driving game like Need for Speed is helicopters, right? Oh wait, Criterion are working on this too. Sigh, I’ll put my Burnout 6 fantasies on hold. Again. I hope a new studio doing NFS means I can stop caring about it and Criterion can go back to Burnout. DICE are doing Battlefront then? And in Frostbite 3. But apparently Need for Speed is more important. ‘Kay. My heart’s stopped and I think I’m dead now. All games from now will be on Ignite and DICE’s Frostbite 3. Expect beautiful graphics out of every orifice. And Battlefield 4, probably. Respawn have the emphasis on fun. They have “moments”, apparently. It all sounds and looks very promising and I want it. We’re getting a look into the development of the game, as well as a little more footage of Titanfall itself. They have a nice video for us. And here’s the big one. Titanfall closed the Microsoft conference, now we’re gonna hear some more on it here. Peggle 2 is also confirmed! Why am I excited about this?! The multiplayer so far all seems online, if there’s been an X1 game yet that deserves split-screen though, it’s this. The core gameplay seems to be basic class-based fighting, with plant equivalents of close combat and ranged fighters, healers and the like. Four player co-op survival mode, looking pretty good so far. The PopCap guys are turning Plants Vs. Zombies into a third person action game, coming to Xbox One and Xbox 360. Colour me interested. The conference is kicking off with a familiar sound, is that Battlefield? Nope, it’s Plants Vs Zombies: Garden Warfare. Well, okay then. Peter Moore takes to the stage, as is his habit, welcoming people to “the Download”. Hopefully there’s no microtransactions for this, Moore. Here it is. Time for EA to take the stage. Expect Battlefield, Madden, FIFA, UFC, and whatever Guillermo Del Toro is working on. It’s go time.